During the past 4 years as your councilman I have represented you through numerous committee assignments. Further I have taken the initiative to participate in park clean -ups, sustainable events, business openings, and countless school and community events. 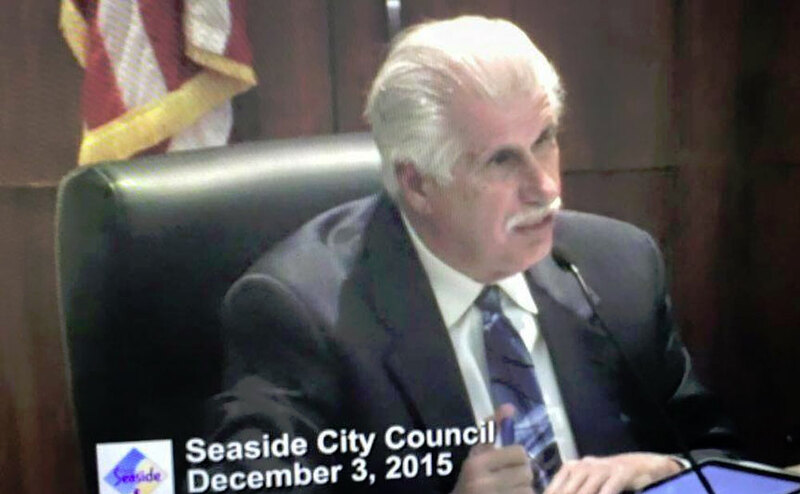 In my career and as a lifelong resident of Seaside, I have led countless programs that have made a difference to the quality of life to Seaside youth and residents. I with your support, will continue to focus on Seaside as my #1 priority. Monterey Salinas Transit Board of Directors. Monterey County Homeless Leadership Group. Monterey County Health Leadership Group. Monterey Peninsula Unified School District Liason. League of Latin American Cities. N.A.A.C.P. National Association for the Advancement of Colored People. Listen to resident and peninsula leaders who will promote stepping forward with an open mind and vision for a greater Seaside. Seaside welcomed CSUMB new students and student leader through Chairman's Reception. Past President of Seaside PAL.